Turn every comment into a chance of getting email optins, reduce bounce rate and boost site engagements with related posts and display exclusive coupons, ad banners using the thrive comments plugin. If you're looking for a fast-loading and feature-rich best WordPress comments plugin, this is something you should try. The most easily-achievable website engagement (read blog comments) is also often the most underrated system of engagement. Blog comments are easy to get, and often the first sign of interaction that a visitor has with you after reading your posts. And what do we do after that? Either dump it into a heap of previously approved comments or at most leave a reply back to it. In this Thrive Comments review, I’ll show you how you can turn your blog comments into your highest converting asset of your blog. Be it sales, engagement, affiliate marketing, reduce bounce rates, book a consultation (lead generation) and even better build a platform! The default WordPress commenting system is good enough but only if you want to dumb comments. To convert those commenters, it simply won’t help. The WordPress plugin repository is filled with lots of comment plugins for WordPress and while some of them are really good like for functions like removing spam (akismet) and integrating social media comments (like this Facebook comment plugin). But if you need a blog commenting plugin that does something more, the WordPress repository just falls short. Thrive Comments Review 2019: Best WordPress Comments Plugin? How To Increase Blog Comments? Encourages more comments by taking the goodness of social media (likes/upvotes, pinning the top comment and sharing of comments) and rewarding active commenters with badges (helps build a strong community). 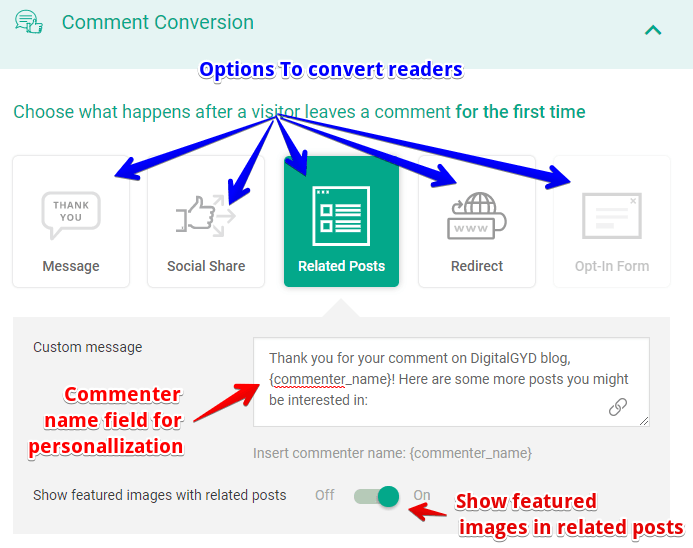 Helps you convert comments by after-post actions like showing them additional posts to read (reduce bounce rates), ask for a social share, ask them to join you on your social media platform, show them an exclusive coupon or affiliate product (more sales) or an optin form (lead generation) to name a few. The guys behind Thrive themes have built their entire WordPress business based on one single goal; enabling WordPress users build a conversion optimized site. At a time when everyone is addicted to social media and it’s instant rewarding feature (though likes, shares, upvotes and trophies or badges) it’s kinda not enough to lure a blog visitor to take the time to write a comment. 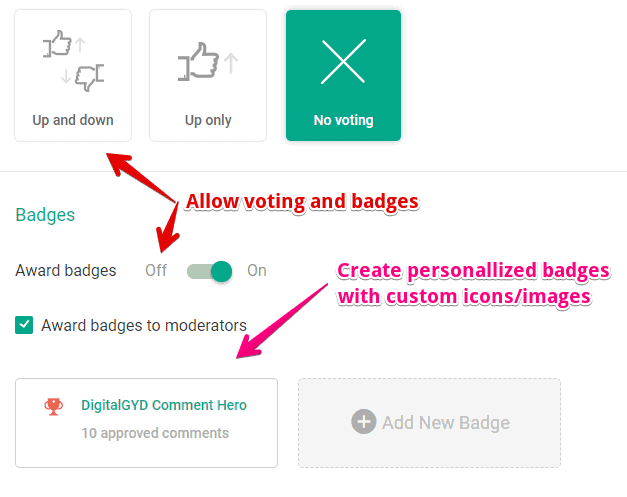 With the Thrive comments plugin takes this loophole in the existing best comment plugins and brings the facilities of upvoting a comment, featuring a top comment and awarding the active commenters with badges to reward their loyalty to infuse a sense of community. Well the sense of community building itself is the best thing that the plugin can reward but it probably isn’t the only best thing. There’s no sense of building a community of readers unless you can leverage that to turn your blogging business into getting even more interaction, more page views, more sales, and more leads. Let’s now take a close look at the features that make it the best WordPress comments plugin of 2019. What Thrive comments plugin offers, how it can help you get more for your comments and finally if Thrive comments plugin is something worth investing and switching to. Read through these features to see how thrive comments plugin can boost your website sales (affiliate sales/product sales or service business) and get you more subscribers. Watch this video where Stephanie walks you through all the features of Thrive Comments and 12 ways to use it on your blog. Comments on a blog are a sign people have related to your content. The response shows that what your content matters and your readers want to discuss more on it (either for the topic or against it). Any conversation is a good conversation especially at a time when people are investing boatloads of money for getting people to talk about your content through social media ads or adwords etc. Professional bloggers like Michael Hyatt who had once stopped comments have decided to bring them back. Thus is the power community building through comments. Thrive comments take this idea of community fostering a step further. Thrive comments helps you leverage the power of social media and community forums in your comment system. With thrive comments you can ask your visitors to leave comments on your site using their social media accounts without even having to login. This makes commenting friction-less and easy. 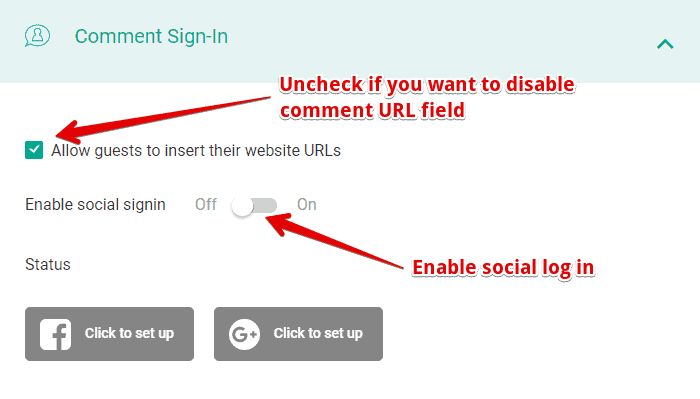 The old WordPress commenting system with email and site id is still there but in case you are searching for how to disable site URL feature in WordPress comments, thrive comments let’s you do that in a click. If you’re a site that gets a lot of comments or you have a multiple author site with post comments for different authors, managing and sorting comments might be a hassle. 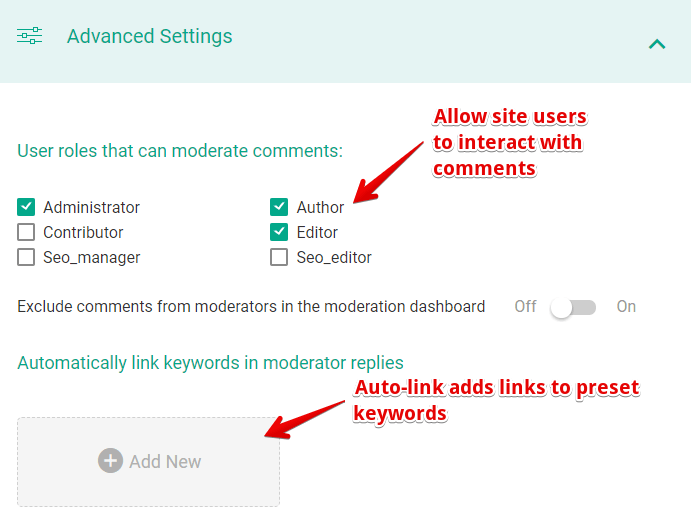 With Thrive comments WordPress commenting plugin, you can now have a streamlined WordPress comment moderation system. Sort comments based on a single post or page. Allot certain comments to certain authors for more relevant action. With Thrive comments, you can now display post-comment features to increase your website engagement, reduce bounce rates, get more social shares and more. 1) Redirect commenters to a custom landing page: With Thrive comments plugin you can redirect commenters into a custom thank you or welcome landing page. You can see my landing page that I have built for my commenters to direct them to a page where, I thank them, give them a freebie (SEO checklist) and ask them to join my social community. This is the way I use my comments to increase interaction and engagement on my blog. Ever wondered how important getting feedback from your readers is? You might include a feedback form on your blog via other means but the another way to get maximum responses to blog survey forms is to how it to the commenters. Because they are the ones who have taken the time to read your content fully, leave a comment either praising you or giving you their feedback and hence they are easier to convince to leave a feedback. You can convert the “micro-commitment” of commenters to ask them for an additional feedback like what posts they like to read next, how are they liking your content and how they think you can improve it. Thrive comments plugin makes all this possible and you even get to store the responses into a Google spreadsheet for easy data consumption. The next some points will help you turn your blog comments into profitable page views! While none of the WordPress comments plugin has ever thought of doing something more than just comments, how would it be if you could use comments to get more page views. With Thrive comments plugin, you can easily show a bunch of related posts to the commenters after they have commented and this is where you got an active spot of interaction and a potential to engage the reader to read a new post. Since the current post was so effective that the reader decided to leave a comment, a related post is probably the best way to capture the reader’s’ attention. 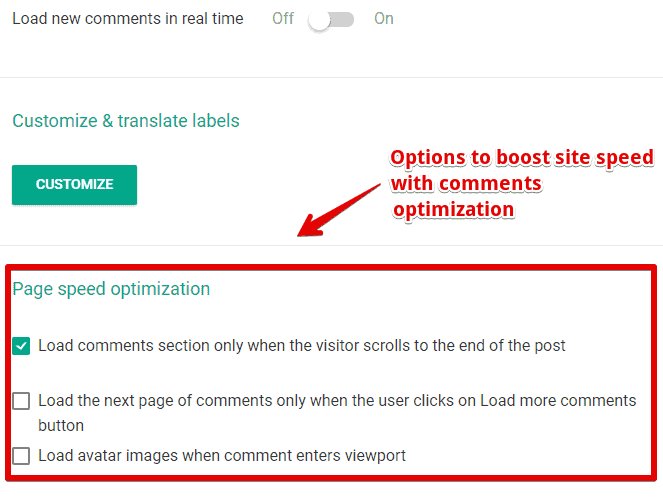 With this thrive comments feature, you can use comments to boost your website pageviews and reduce bounce rate. BONUS: If you run a viral website or a website that is monetized by ads you can probably use this tactic to increase revenue of your website easily. Until now, WordPress comment plugins had a no role in blog monetization. But with thrive comments, you can turn your army of blog commenters to list building and more sales. You can show your visitors an exclusive coupon to try your products or any affiliate product you are a partner of. I use it to let my commenters know that they can get a SEMrush 30 day free trial worth $99.95. Boosts my authority: Only a handful of elite partners can offer SEMrush 30 day free trial coupon. Makes money: With every paid upgrade, I get an affiliate commissions. A sense of gratitude and loyalty: Every free gift trickles in a feeling of gratitude in your readers’ mind and they become your loyal fans. You can use thrive comments to trigger an optin form so that you can increase the chances to get leads. You can show a sitewide optin form or use a specific content upgrade offering a PDF version of the post or some specific offers to bribe your readers into your list. Thrive comments easily integrates with Thrive leads (or your favorite lead generation plugin) to show up a quick webinar sign up form and generate leads. Now that sidebar blindness is at its peak you cannot expect to grab any eyeballs to your ad banners with traditional ad placements. This is the cause of drastic decrease in ad clicks and thus affiliate sales. Check the image below for the heat map generated in a research for fast-scan reading, normal reading speed and thorough reading (right). But with Thrive comments comment form, you can increase the effective attention to get some eyeballs on your most lucrative affiliate offers. Just as the reader is fully attentive on your blog, has formed an attachment in the form of leaving a comment, an affiliate banner or product offer would be the best that can grab his attention. Use Thrive comments to display a banner right after your reader has left a comment. You can also set a fun GIF image that showcases your brand’s personality. The best thing in this thrive comments review is, comment analytics feature. Your comments are a great way to analyze how your readers are interacting with your blog. Getting a through analytics of it can help you optimize your site even better. Comment rates over time: Helps you see the amount of comments you are getting and how it has grown (or decreased) with time. Thrive comments plugin, like thrive themes, has the option to load comments only when the reader reaches to the point of comments section thus saving the load time of unwanted text and gravatar images for those who aren’t ready to comment. You can also, lazy load gravatars so that they only load when they come to view port thereby preventing the load times of unneeded gravatars of other commenters. Thrive comments isn’t free for all the good reasons. Thrive comments costs $19 for a single site license and so this is a steal-deal to improve your site comments’ user-experience and make more money (and lead generation). The unlimited package comes at only $48 and is highly recommended if you have multiple sites or a plan to launch a new website at some point. They offer you a 30-Day money-back guarantee so you have nothing to lose. Thrive comments is a part of a great community of Thrive themes users and I have been a paying customer of them since long. Needless to say, their response rates are awesome and you can get a help, in no time. Thrive themes has always responsive customer care. You can expect a reply on your thread in a couple of hours. In order to take maximum advantage of Thrive comments, you need to have a decent number of blog comments. If you want to increase your blog comments and convert them using Thrive comments watch this super short video of Neil Patel (Neil is someone who gets 100s of comments in each of his blog posts) where he explains how to get more blog comments effortlessly. I hope you enjoyed this thrive comments review. In my opinion, thrive comments plugin is the best WordPress commenting plugin ever. It has all the features of Facebook comment plugin (or any other social media platform for that matter), fast loading WordPress comments plugin and comment plugins that help you do more with just commenting. How do you think this is going to change the game of WordPress comments plugins? Until now, which Facebook comments plugin were you using? What’s your thought on converting commenters into money-makers? 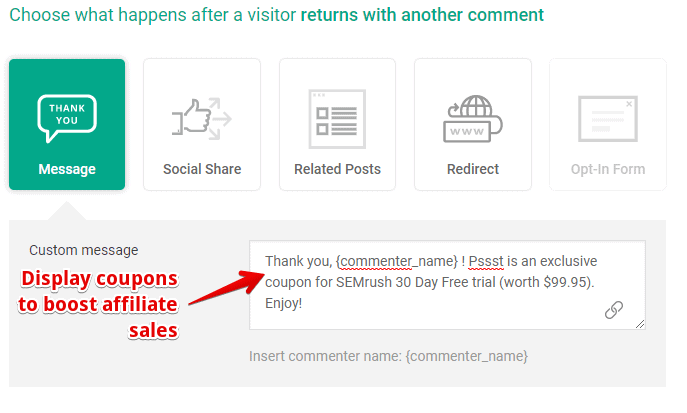 Turn every comment into a chance of getting email optins, reduce bounce rate and boost site engagements with related posts and display exclusive coupons, ad banners using the thrive comments plugin. If you're looking for a fast-loading and feature-rich best WordPress comments plugin, this is something you should try.